The area designated for the METU Plaza has been one of the most neglected areas in the campus. At the moment, all the gatherings, social and cultural events take place in the stadium due to the lack of an open public space. Our proposal for the METU Plaza consists of a series of linked squares, each on a different level. The plan organizes the chaotic and undefined outdoor spaces into a well defined, unified whole, which is continuous and hierarchial within itself. The Front Plaza is the welcoming square, an interface between the dorms and the academic quarters. 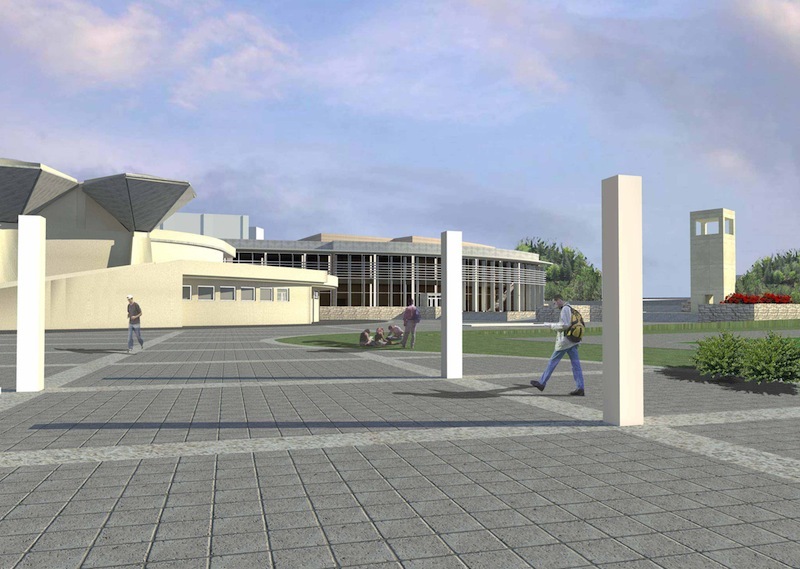 The Performance Plaza is considered to be an extension of the foyers of the Performance Halls Building, with open air exhibitions and installations taking place. 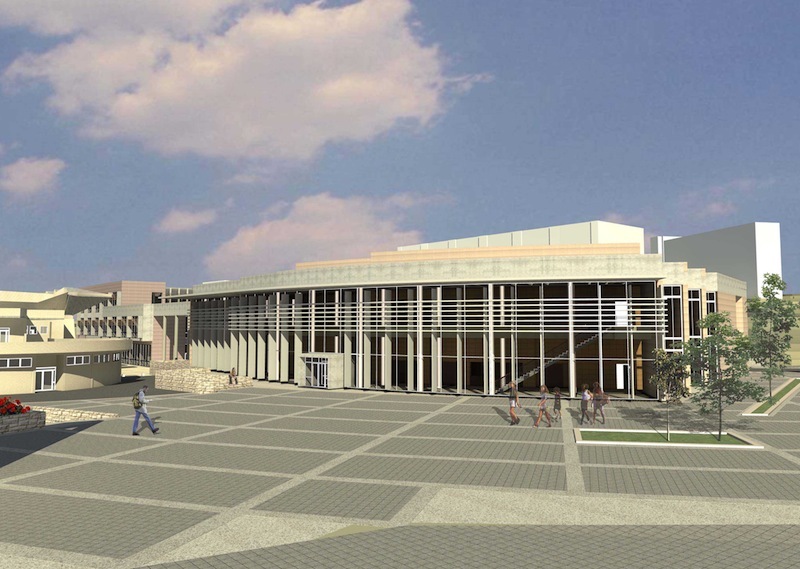 The Ceremony Plaza, with its amphitheater seating, is where pre-gradution ceremony peparations will take place, along with many programmed and spontaneous actvities. 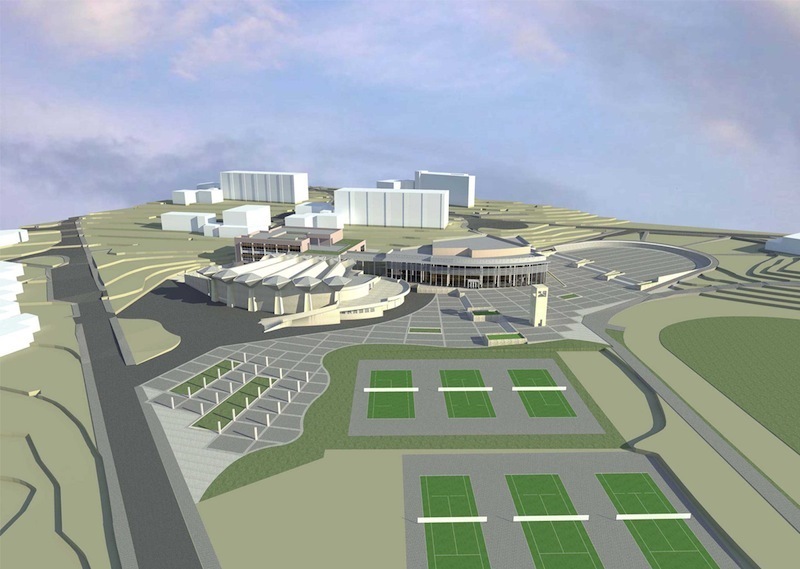 Of the program requirements, the public spaces such as the Performance Halls take place overlooking the METU Plaza, while spaces which are more private and which are less frequently used are in the building to the south of the Sports Hall. 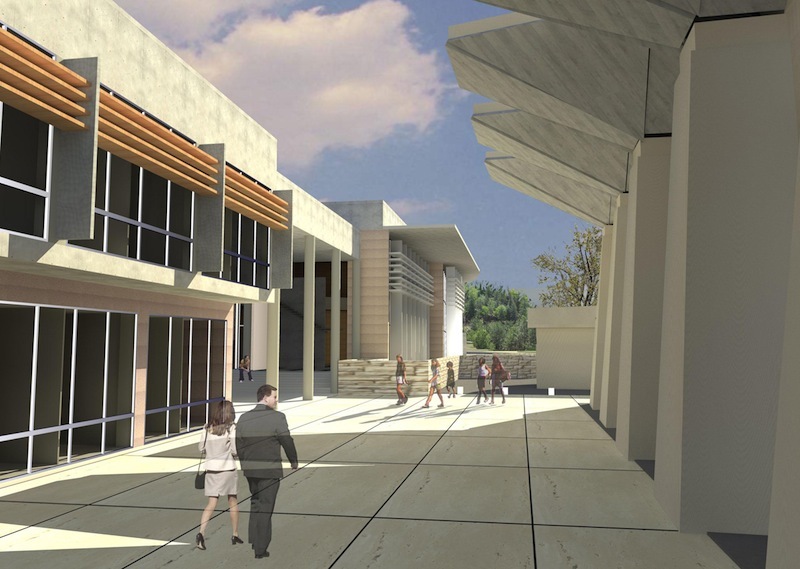 The undefined outdoor space to the south of the Sports Hall is redesigned as a pedestrian alley for students’ creative arts exhibitions. The existing open tennis court is demolished to make way for a sunny, south looking public square. The facade of the Performance Hall Building is designed as a a curving glass surface, which overlooks the METU Plaza and at night, illuminates it with the bright lights of the foyer, thus contributing to the life in the plaza, turning it into a living urban outdoor space. Care has been taken to create a building, harmonious with the existing language of the campus, with its low profile and its choice of building materials.